At last, Ricky is friends with Samantha. But he still wants to be FAMOUS. Find out if he can finally realise his dream even though he can't let anyone see him fly. A brilliant series presented in words and pictures by master storytellers Paul Jennings and Andrew Weldon. 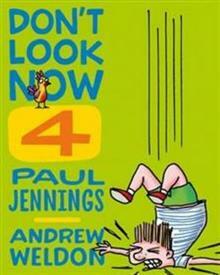 Don't Look Now will have readers laughing out loud at Ricky and his hilarious adventures - on and off the ground.